A. Lynn Ivey, III | HomeKeepers LLC. Aside from his professional experience, Lynn has learned about issues of aging firsthand as he watched his father progress in recent years. Into his 60’s and 70’s, Lynn’s dad remained independent, living in an apartment and driving primarily to the grocery store and a senior center. “The Senior Center of Richmond was a godsend for Dad. It gave him a place to go two or three days each week. He would get a nutritious meal and engage in activities that provided intellectual and social interaction. It may sound odd, but staying independent kept Dad independent. He occasionally used a cane or walker, but only under protest.” “Eventually, Dad could not drive or live on his own and he moved (reluctantly) to an assisted living facility. Within a year, Dad fell, ended up in a hospital bed, and lost his will to leave the wheelchair. He spent his last five years in a nursing facility and recently passed. After the fall, his dementia advanced and he ‘lived in the moment’ most of the time.” “What is clear from my experience with Dad is that aging is often a gradual process, with periods of strength and weakness. However, an unexpected event can trigger a dramatic decline.” “Many people will endure a lot to stay in their homes – hiding their situation from their loved ones. The type of services offered by HomeKeepers enables people to stay in their homes (where they want to be) more safely and comfortably…and economically. HomeKeepers allows them to avoid institutional life that can deprive them of many of the things that make life worth living, such as familiar neighbors, surroundings and beloved pets.” Lynn has been involved with the healthcare industry in different capacities over the past 25 years. Most recently, he was Senior Vice President at Beth Sholom Life Care Community. He oversaw and coordinated the design, finance and construction of a new $12 million assisted living facility – Parkside. That facility employed the most up-to-date design for memory and assisted living. Prior to his three years at Beth Sholom, he was a public finance banker, financing numerous CCRC’s, assisted living and other healthcare facilities. 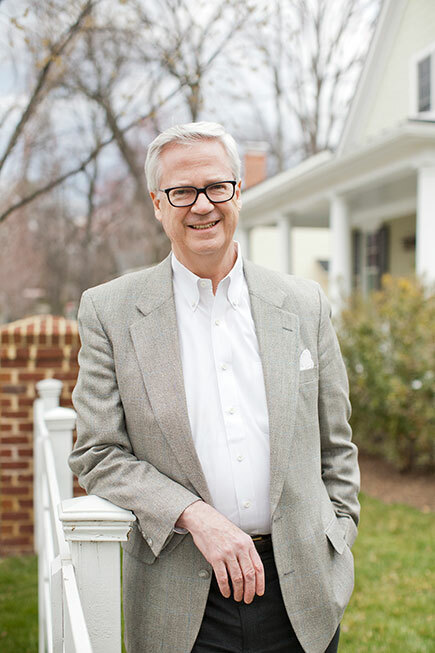 He served on the board of the Senior Center of Richmond, and the Older Adults Action Council for United Way of Greater Richmond and Petersburg. He is a former Treasurer of the Instructive Visiting Nurse Association. Lynn is a graduate of the University of Virginia (BA) and University of Richmond (JD, MBA). He has a Class A contractor’s license and earned his Certified Aging-in-Place Specialist (CAPS) designation from The National Association of Homebuilders. Lynn is also a charter member of the Aging and Disabilities Advisory Board of the City of Richmond, Virginia.